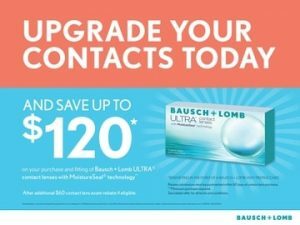 To schedule an appointment for an eye exam, contact lens exam or medical consultation with one of our Danbury or Stamford Optometrists, fill out the appointment request form below. You can also contact us for any other matter either through the feedback form or by contacting us via email or the phone using the information listed below. Our Danbury eye care clinic is located on the Interstate and is easily accessible from Richfield, Redding, Wilton, Watertown, NY, Brewster, NY and more. Our Stamford eye care clinic is easily accessible from Wilton, Norwalk, Darien, New Canaan, Greenwich, Old Greenwich and Riverside. It’s important to schedule a yearly exam with an eye doctor, whether or not your vision is impaired. A comprehensive eye exam can be a window not only into the health of your eyes but your overall health as well. Many diseases must be caught and treated early to avoid permanent damage, vision loss or blindness and often times once symptoms are noticed, it can be too late. Don’t delay! Make your eye health a priority and schedule an exam today! We look forward to hearing from you.